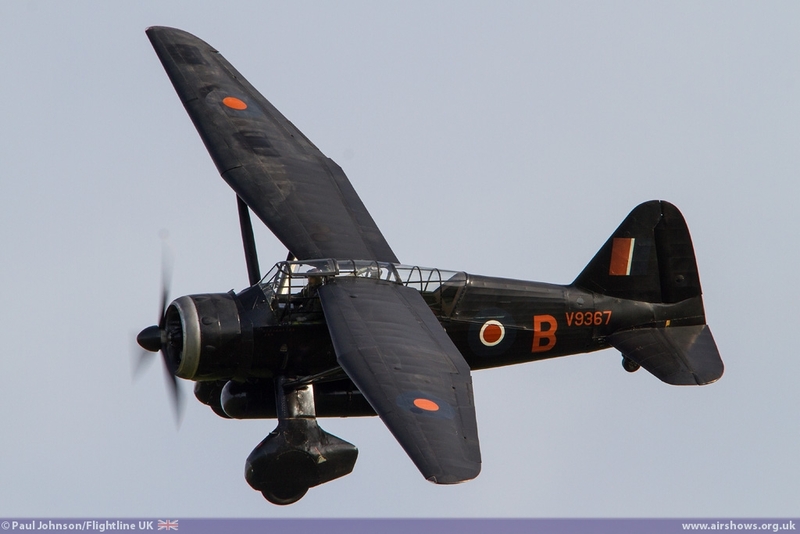 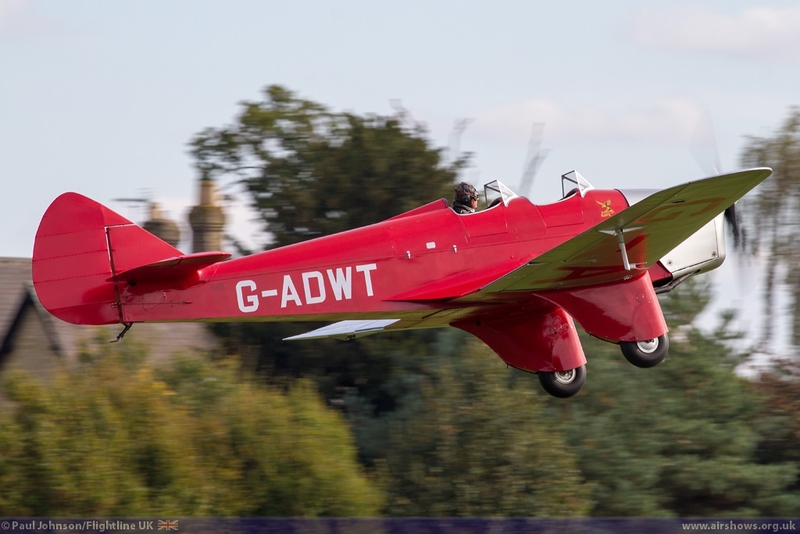 The main UK air season was closed at the Shuttleworth Collection this year with their "Season Finale" Airshow. The event was dubbed "Race Day" as it celebrated the 80th Anniversary of the MacRobertson Air Race and all things related to Air Racing. 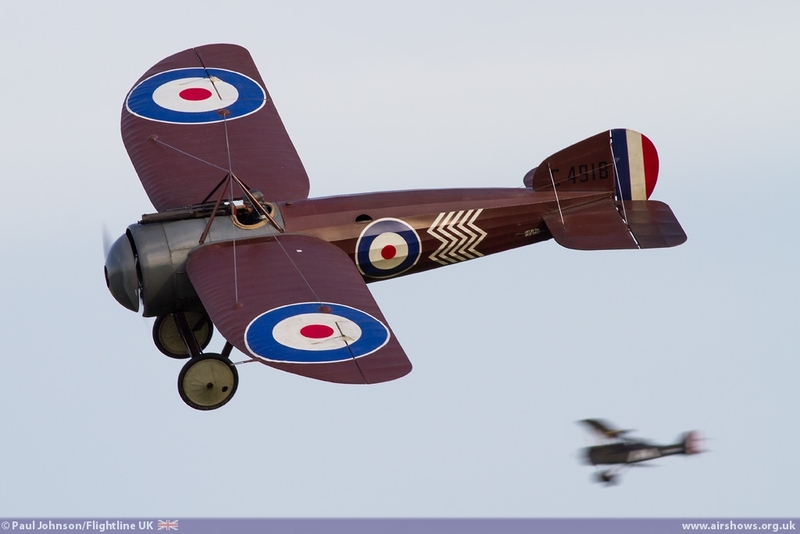 That brought together perhaps one of the most imaginative line-ups for any Old Warden airshow in recent years. 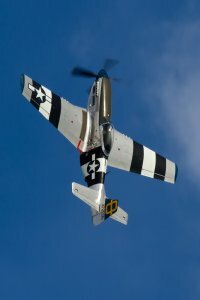 Other elements of the Collection were not ignored either in a very varied flying display. 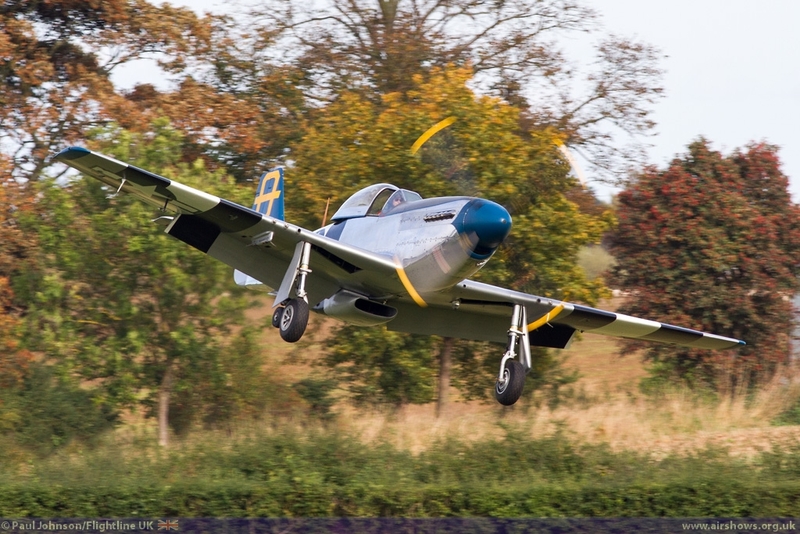 The Autumn events at Old Warden are always superb affairs; there is always something special about the last event of the year. 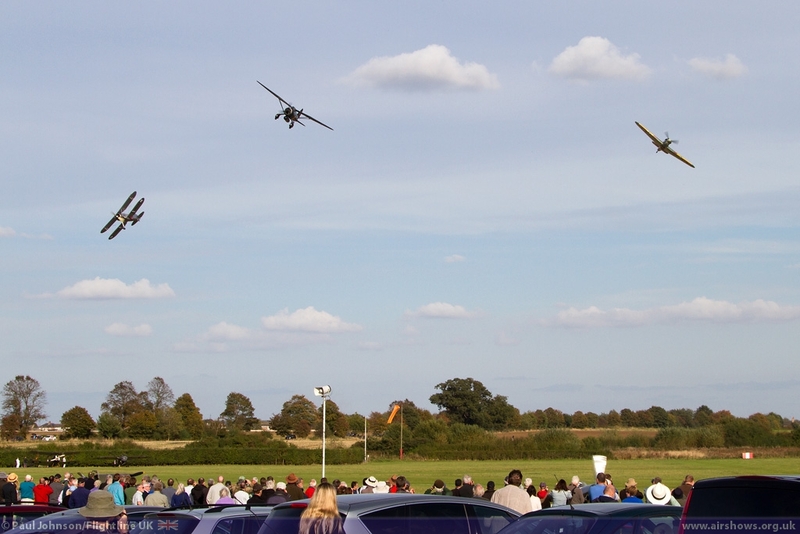 With Duxford's Autumn Air Show not taking place, Old Warden took on the mantle of holding the very last major air display of the 2014 season. 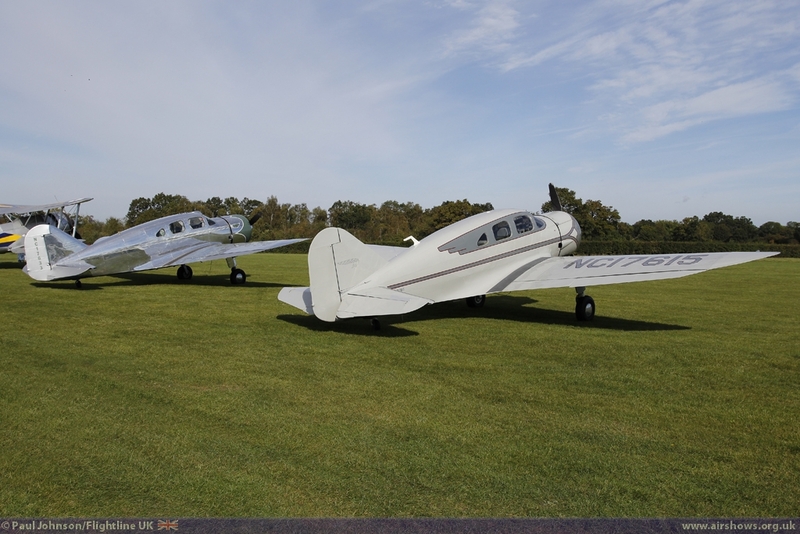 The weather could not have been more perfect with blue skies dappled with the fluffy white clouds and some golden low sunlight breaking through. 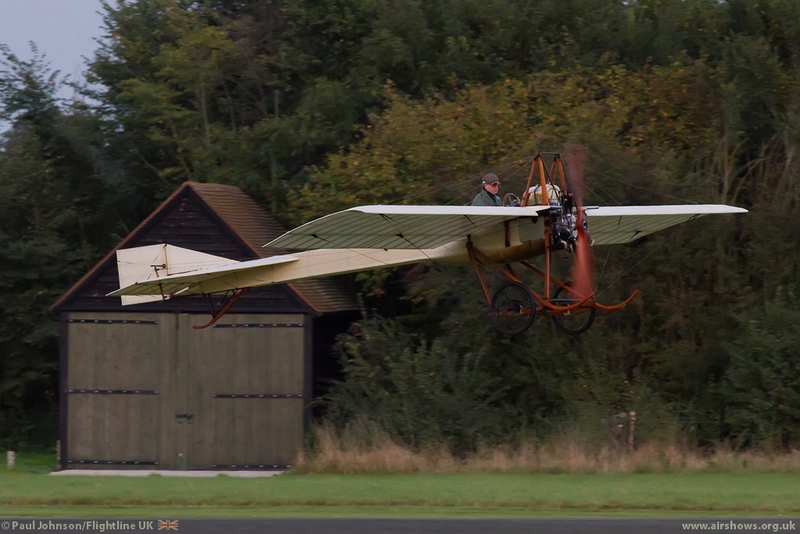 The winds too were light which meant the full planned flying display could take place! 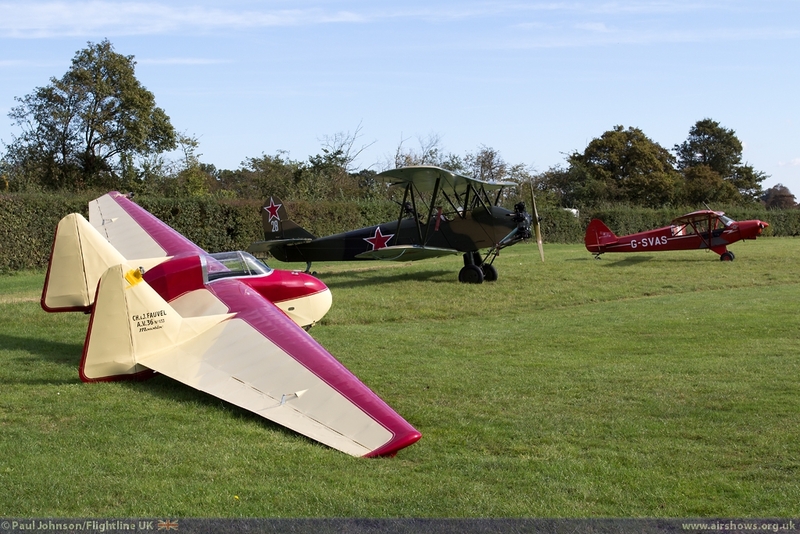 The "Race Day" theme was incredibly well executed by the Shuttleworth Collection and extended into the ground events too with collections of racing cars and even a buffet lunch based around the national cuisine of each country that provided a stop in the MacRobertson Air Race. 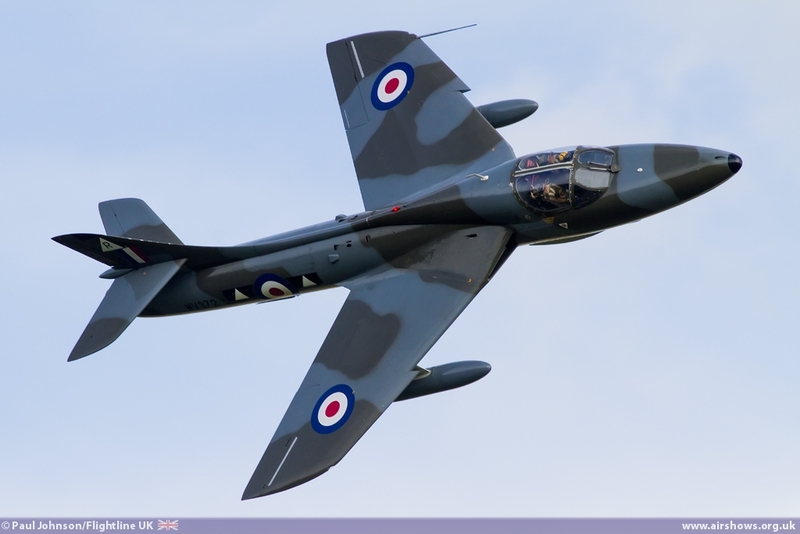 Opening the flying displays was Graham Peacock's lovely Hawker Hunter T7 wearing the camouflage colours of II (AC) Squadron. 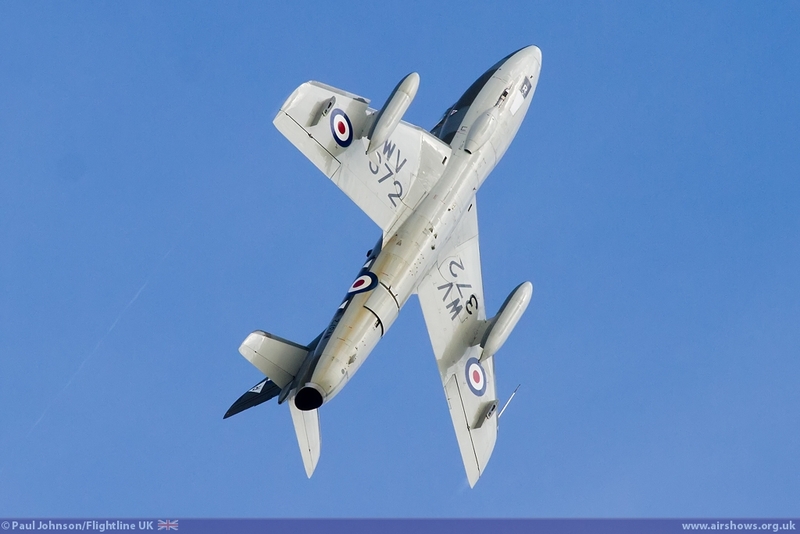 As always at Old Warden, the Hunter was displayed by Chris Heames and put through a very pleasing, smooth routine. 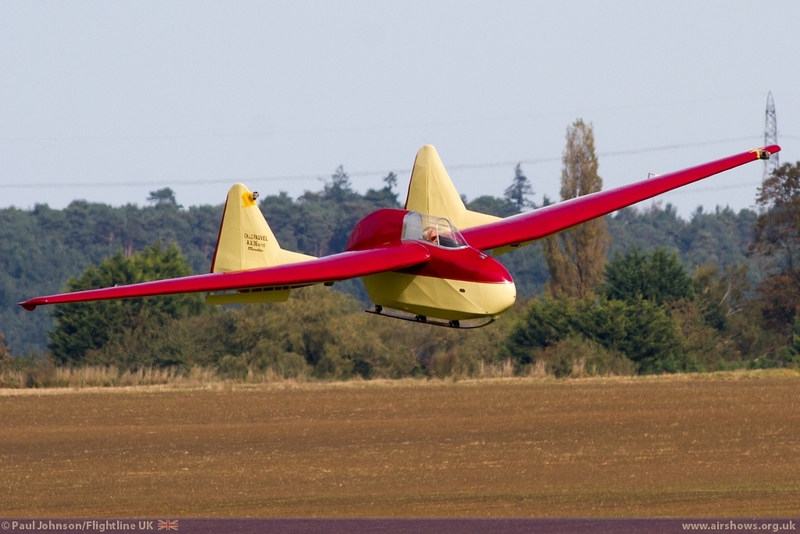 A complete change of pace followed with another outing for the newly arrived Fauvel Glider. 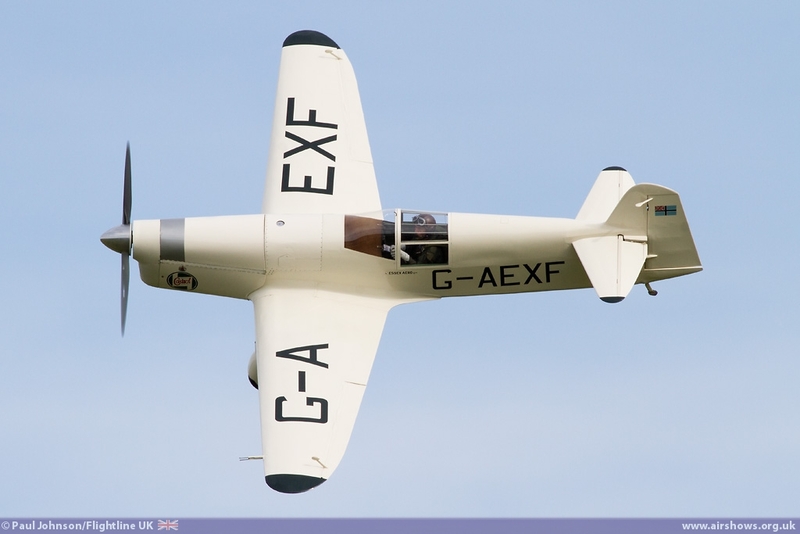 Unlike the previous evening show, the cloud base was not a factor for Graham Saw's wonderful aerobatic routine in one of the most distinctive shapes in the sky. 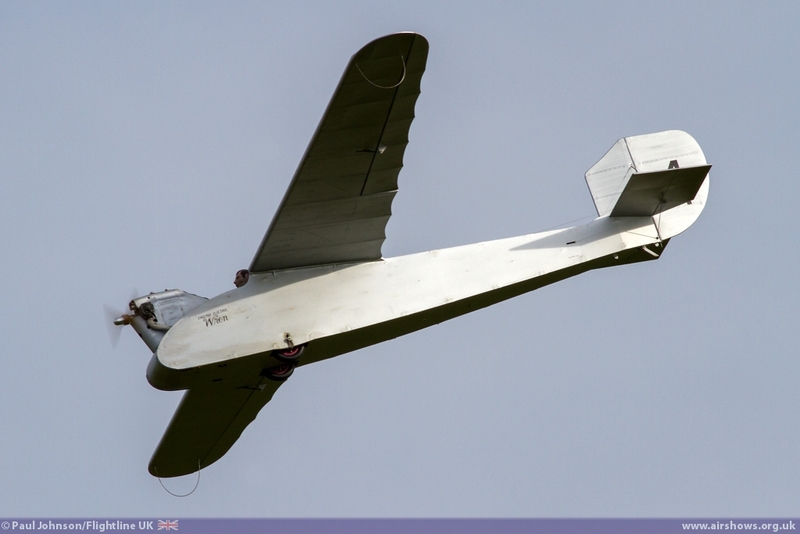 Later in the afternoon, Graham also displayed the EON Primary Glider, perhaps the most primitive looking flying machine to grace the skies. 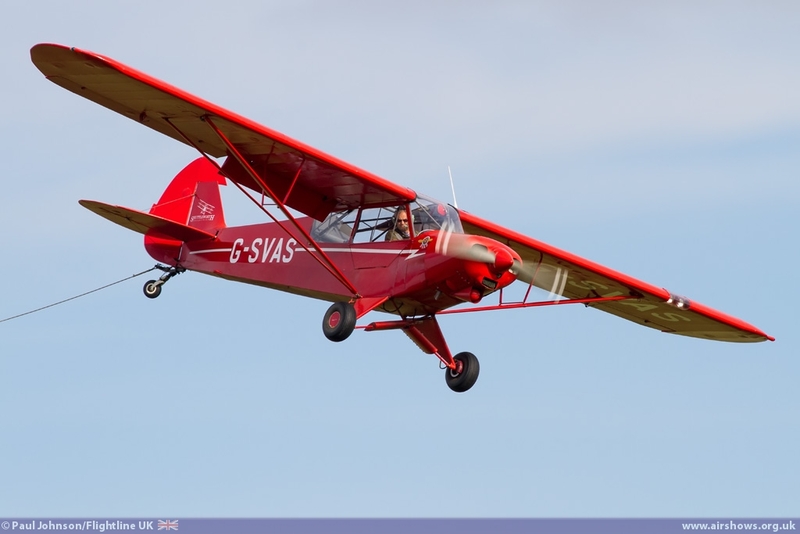 The pilot is incredibly exposed as are all the controls and framework of the machine - it always seems to fascinate the audience on its rather quick descent into Old Warden following release from the Super Cub Tug. 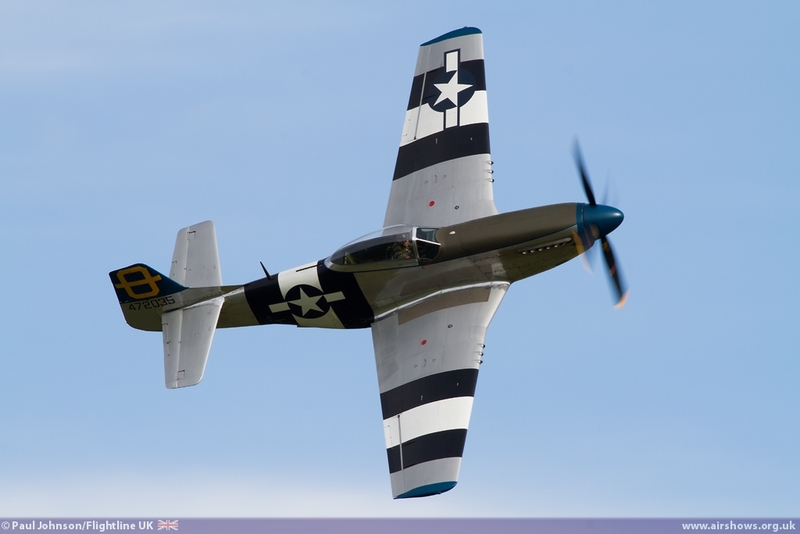 Peter Teichman's North American P-51D Mustang "Jumpin' Jacques" was a very relevant addition to the programme. 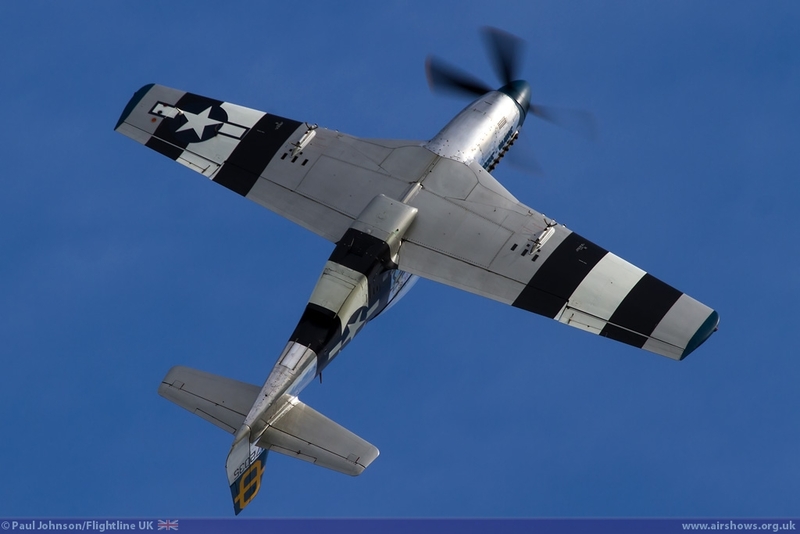 P-51s have been a stalwart type in the Unlimited Air Racing category in the US. 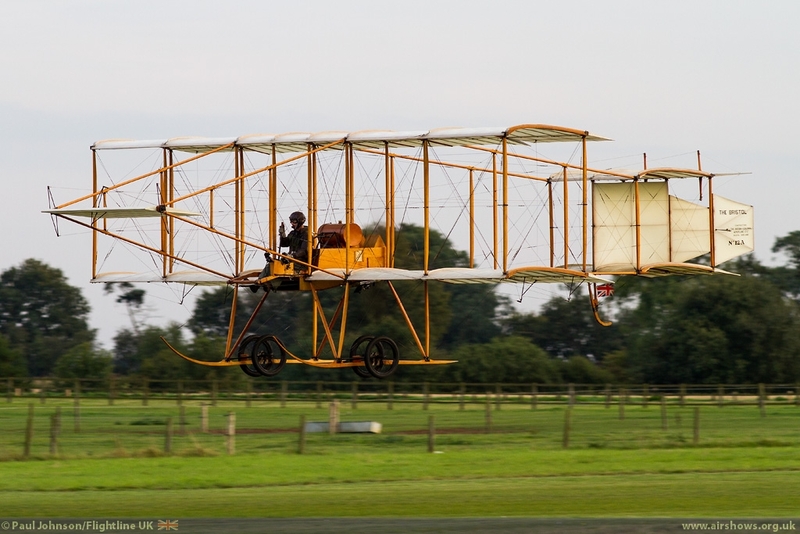 Indeed many of the preserved examples in Europe often have some sort of racing background. 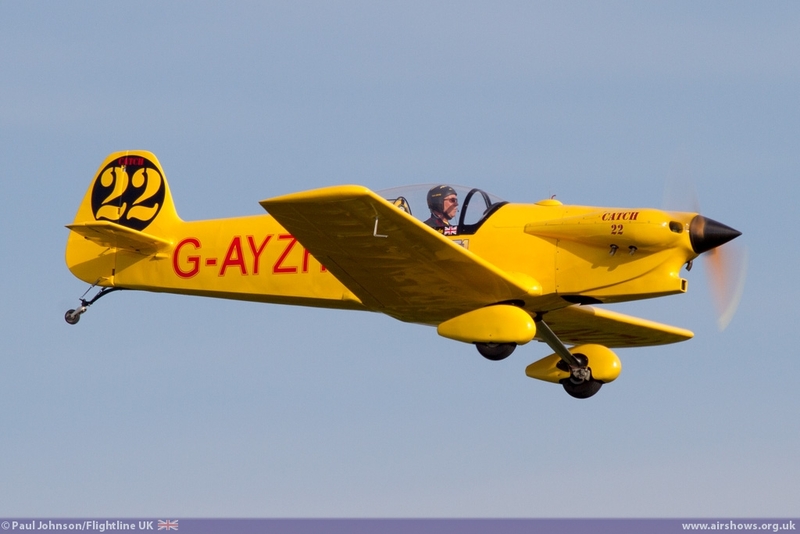 As ever, Peter gave a very graceful aerobatic performance in his favourite mount. 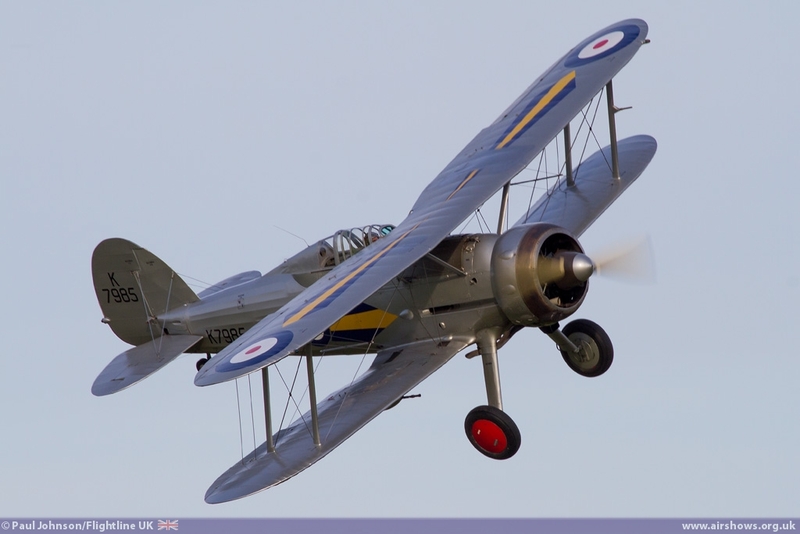 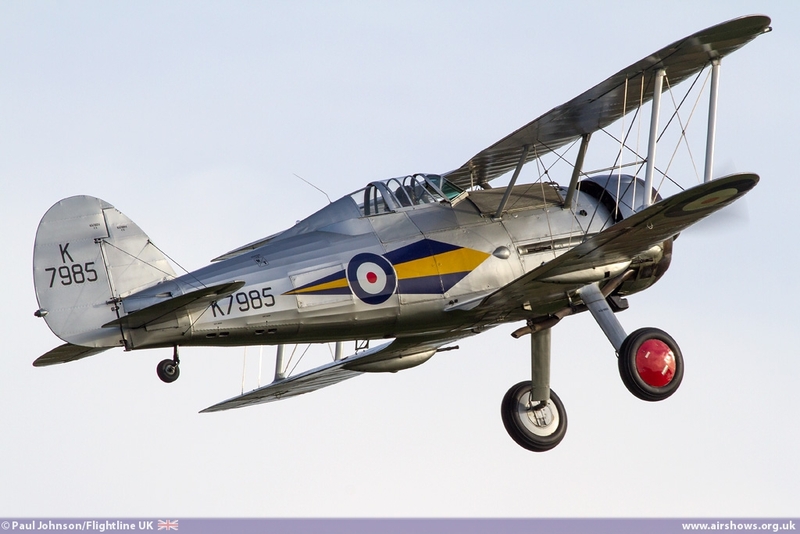 Further Second World War flying came from the Collection's own fleet with a three-ship formation and solo displays by the Gloster Gladiator, Westland Lysander and the Hawker Sea Hurricane Ib. 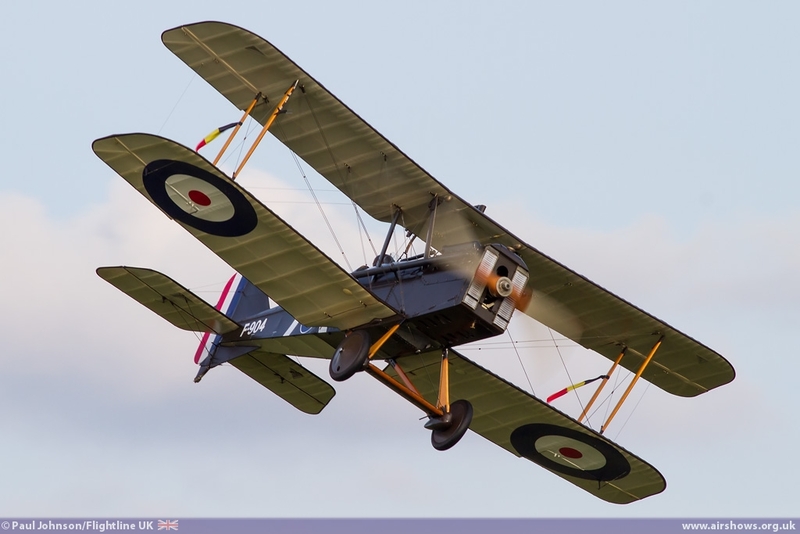 The show also included a brief look at First World War machinery with solo displays from the Collection's RAF SE5a and Bristol M1c. 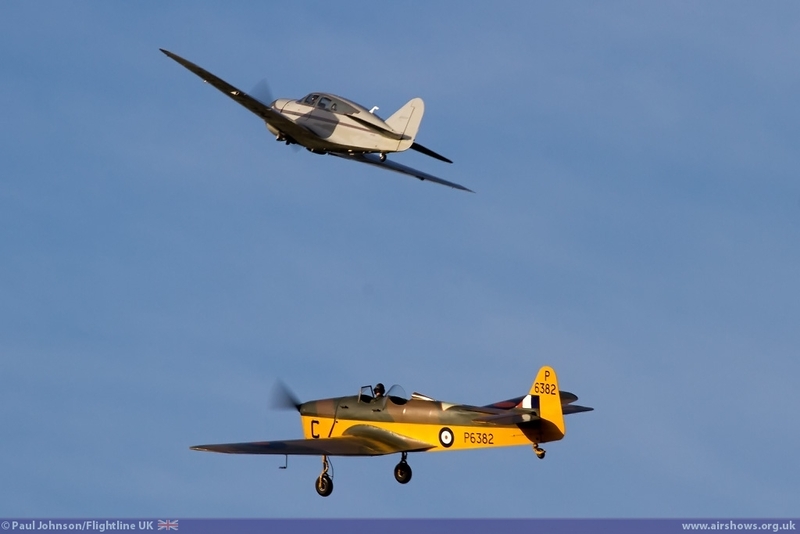 The inspiration for the Race Day theme was the 80th Anniversary of the incredible MacRobertson Air Race from Mildenhall in Suffolk to Melbourne, Australia. 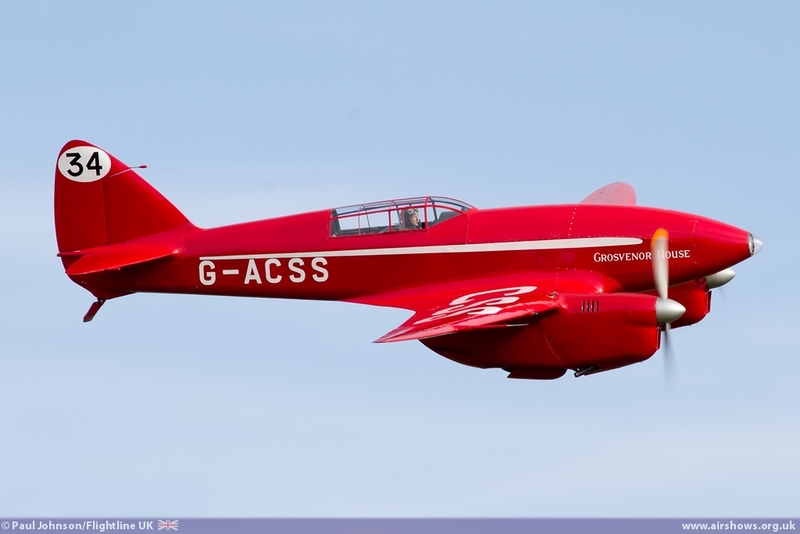 In particular, the participation in that race of de Havilland DH88 Comet G-ACSS Grosvenor House. 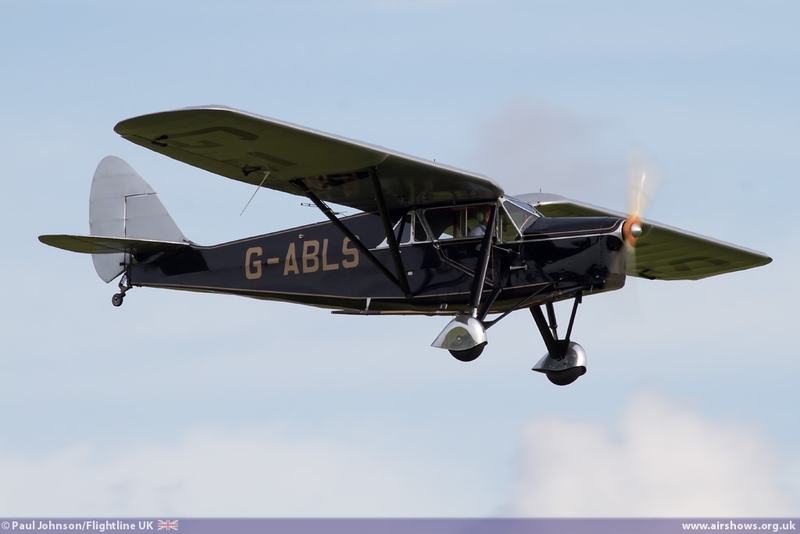 G-ACSS has been subject to a protracted restoration at Old Warden having last flown in the 1990's. 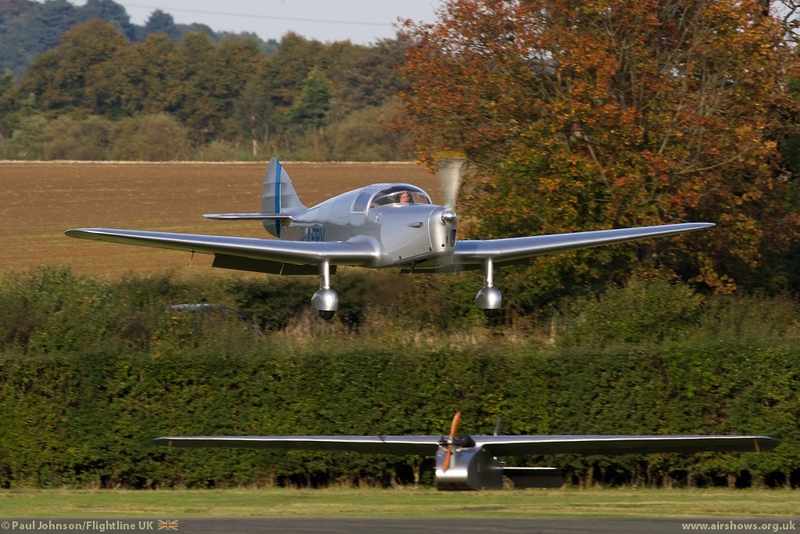 It's been quite a story with Old Warden's runway extended and regarded to accommodate the long runway length required by the racing aircraft followed by strengthening modifications to the aircraft's undercarriage. 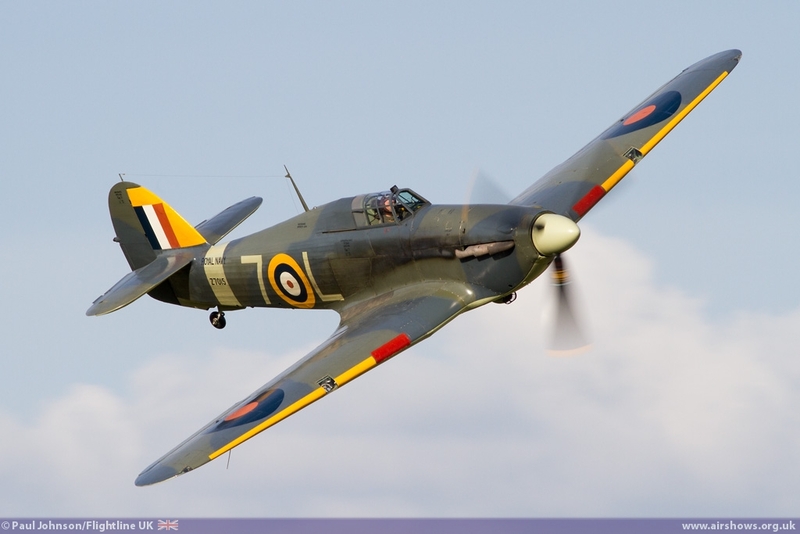 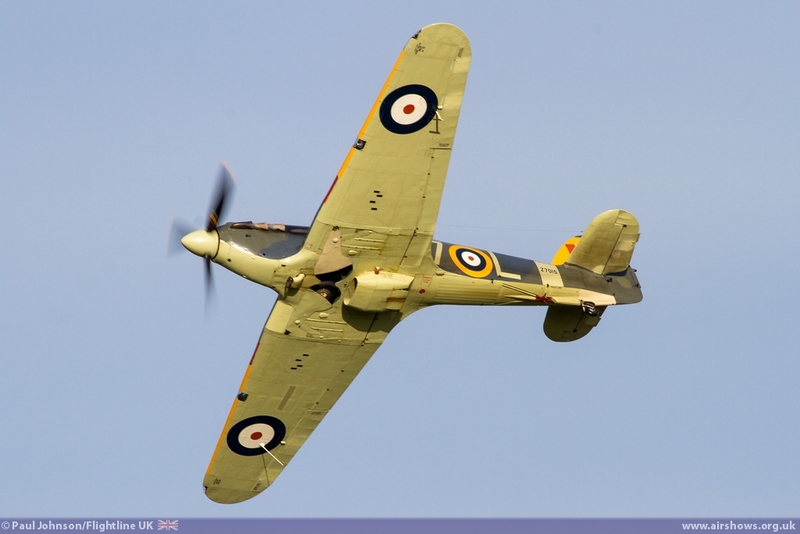 However, 2014 has seen this remarkable aircraft return to the skies. 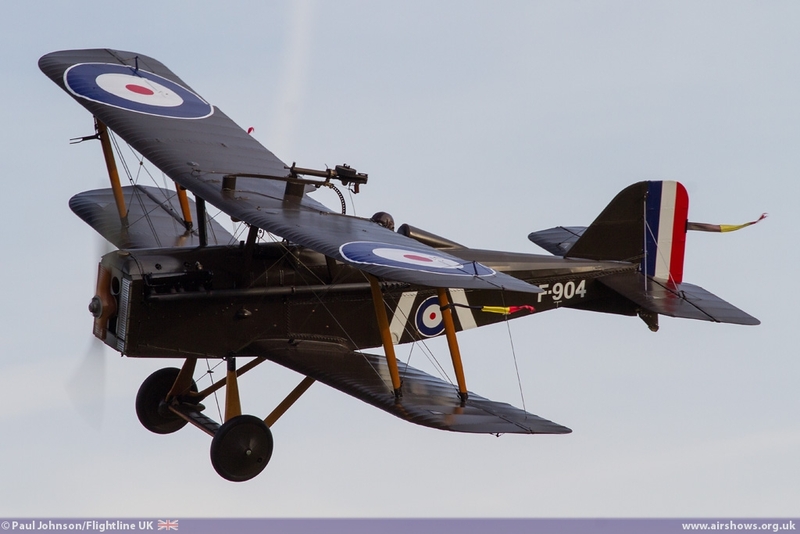 It made its first public appearance at the Shuttleworth Pageant in September, but this show really was based around this magnificent machine. 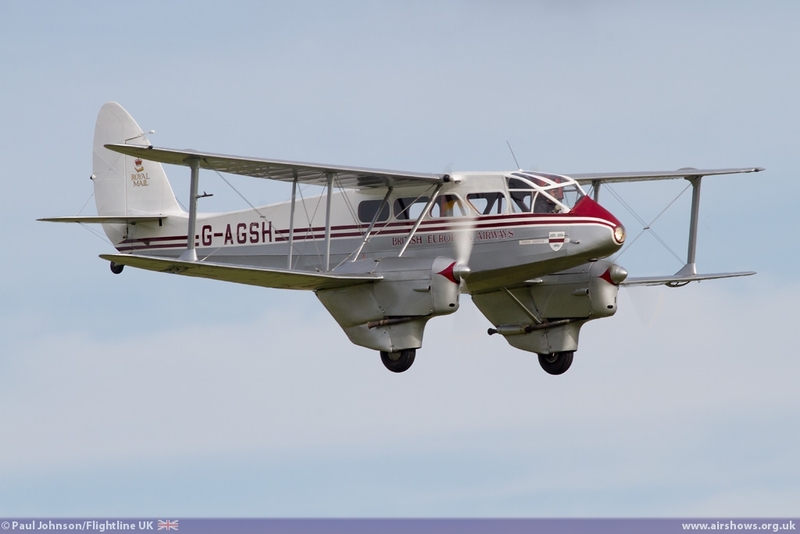 The Comet lead out an incredible array of types that took part in the MacRobertson which included the Dragon Rapide, Miles Hawk Major, the Desoutter I, de Havilland Puss Moth and Miles M3A Falcon Major. 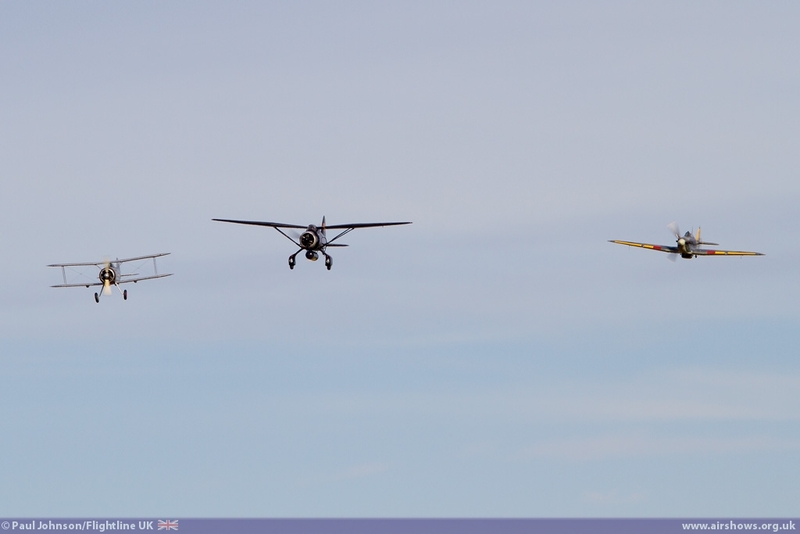 The aircraft all took off in order they started the race and appropriately flew a race track pattern around the airfield before a stirring solo display by Dodge Bailey in the Comet. 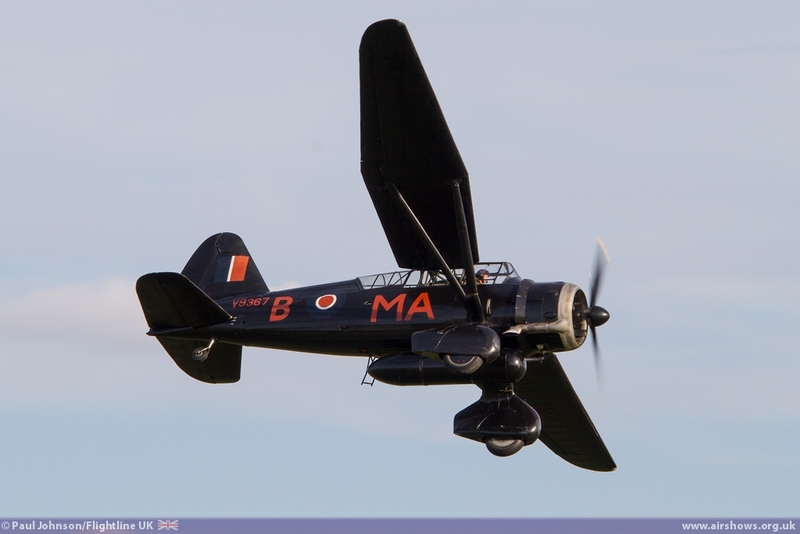 It is for many people, the most beautiful aircraft ever built and the solo display certainly highlighted those wonderful lines against the blue autumnal skies. 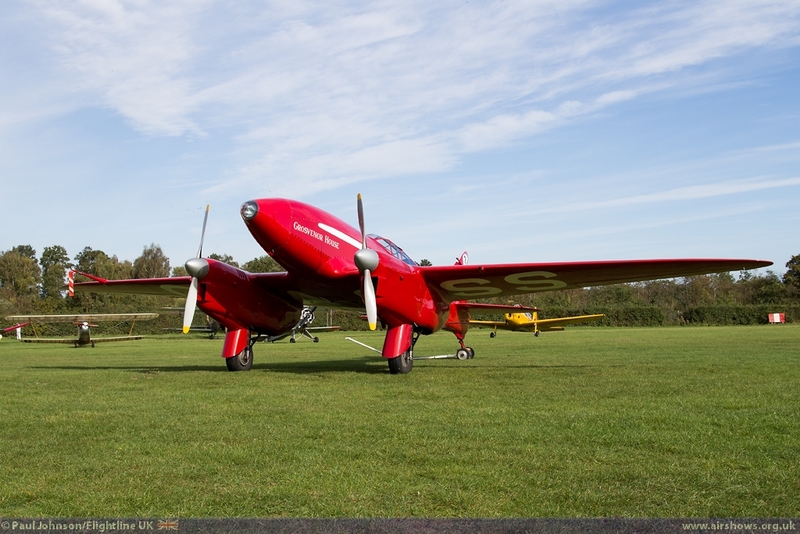 The show also looked at the Cape Record holders with a very special gathering. 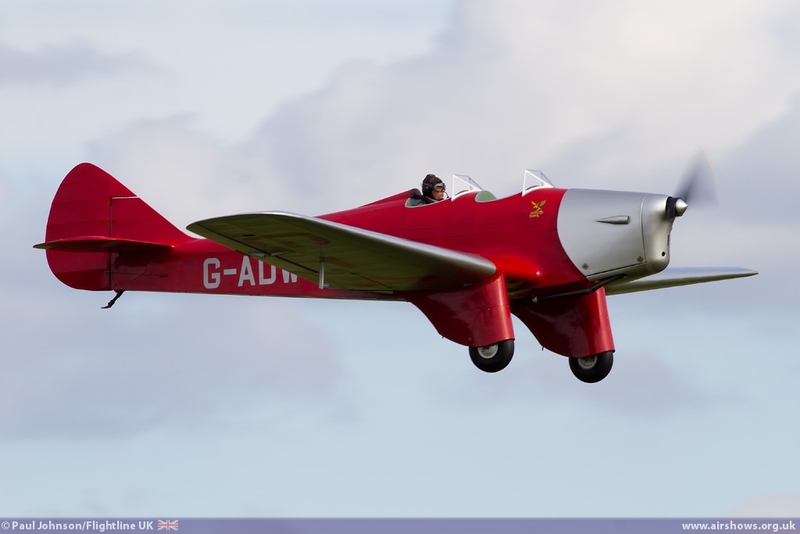 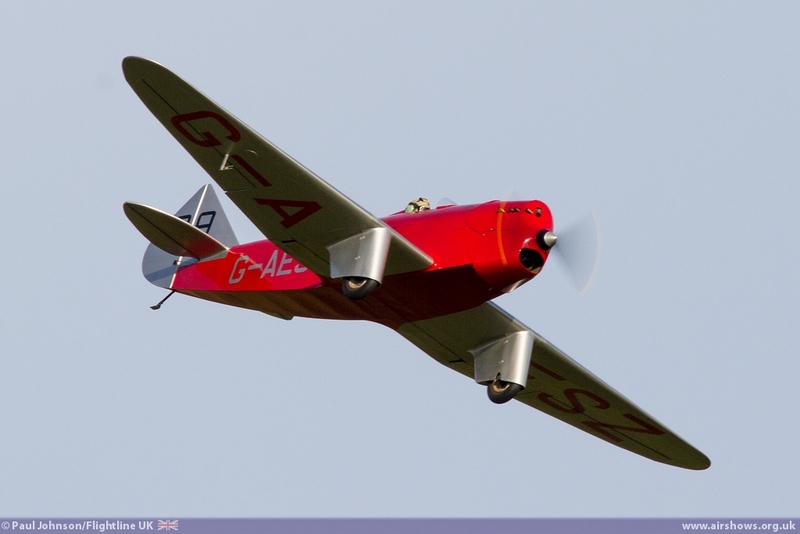 The Collection has recently acquired Percival Mew Gull G-AEXF in which Alex Henshaw set the England to Cape Town record in 1939. 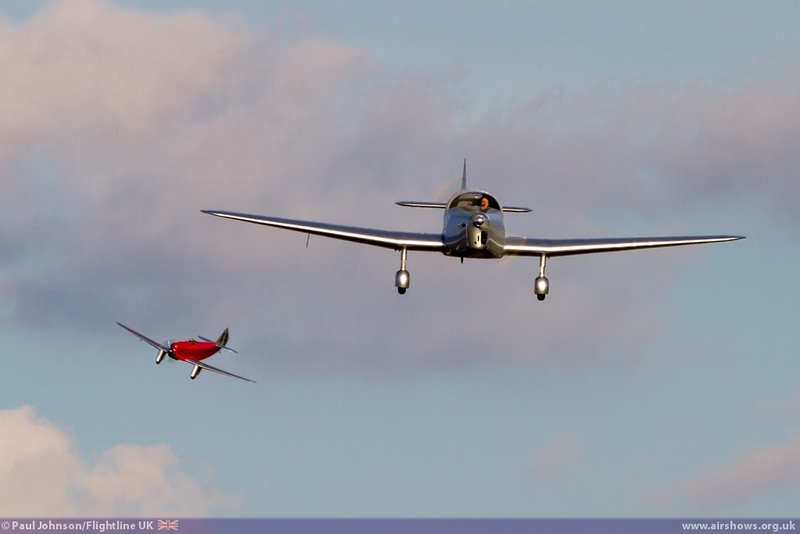 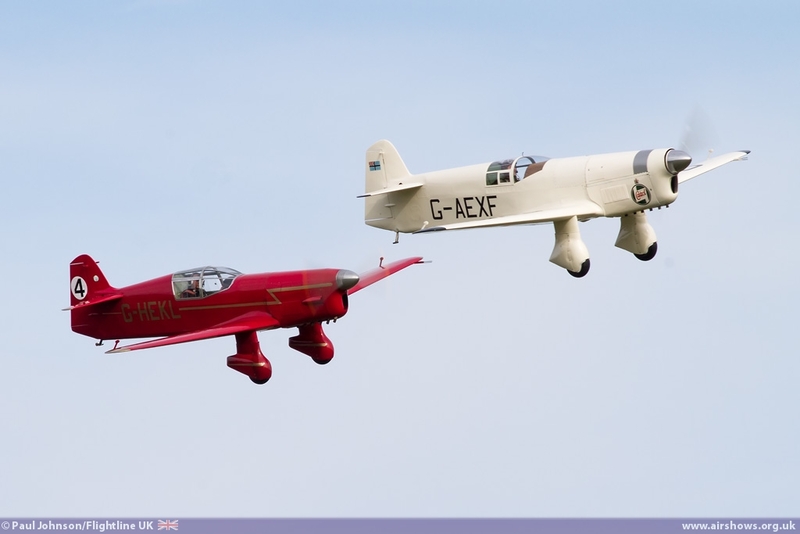 It was joined by the recently completed Mew Gull reproduction G-HEKL and the Vans RV-7 in which Steve Noujaim recently set the new Cape Record in. 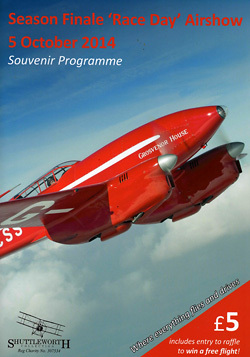 They all flew through with the Comet before giving their separate displays. 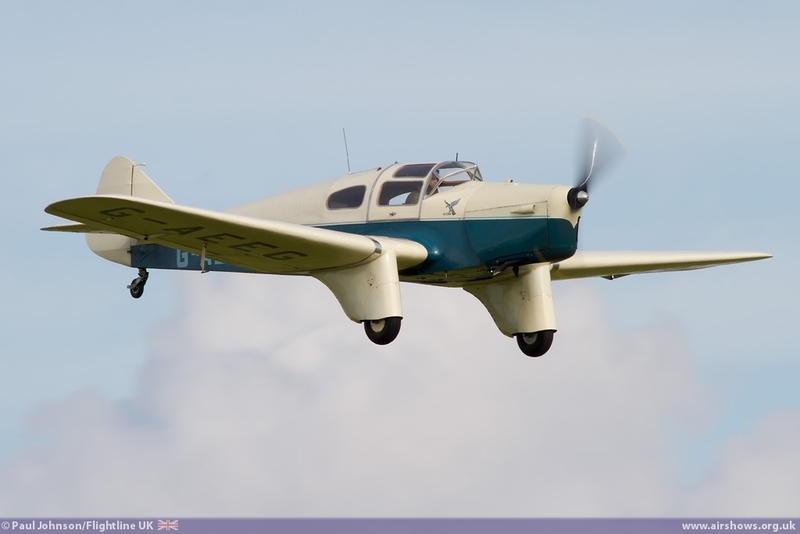 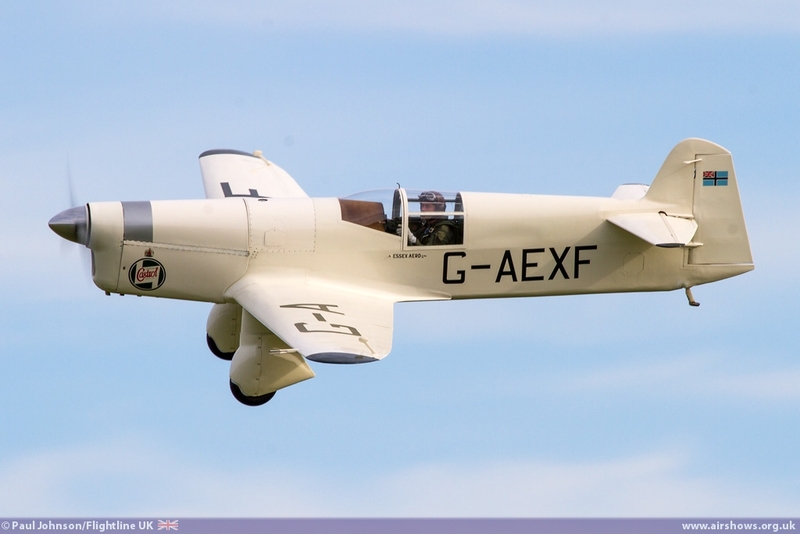 The Lympne Light Aircraft Trials were marked by displays from the Old Warden based Hawker Cygnet and the English Electric Wren. 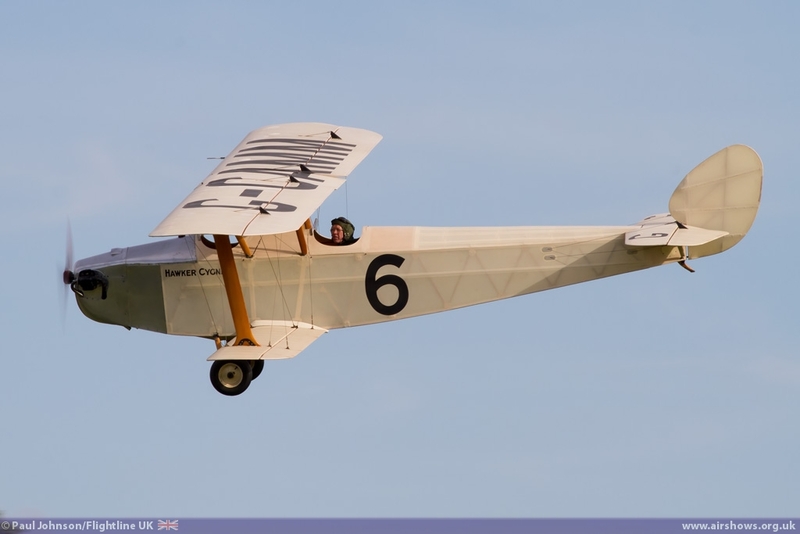 Held in 1923, 1924 and 1926, the trials were designed to encourage development of light aircraft for private operation and put particular emphasis on fuel economy. 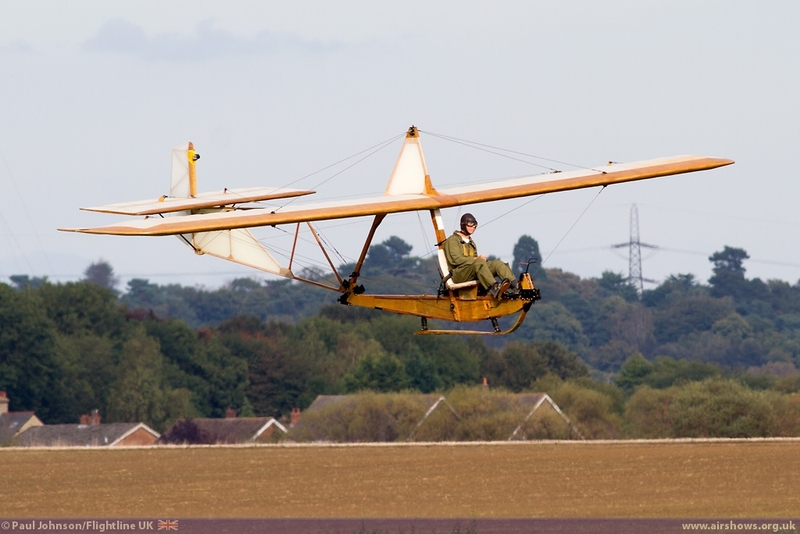 Each trial has its own set of specification of aircraft and all had different tasks such as exercises to prove the ability to transport the aircraft by road and through gates, weight tests, various flying parameters as well as take-off and landing tests. 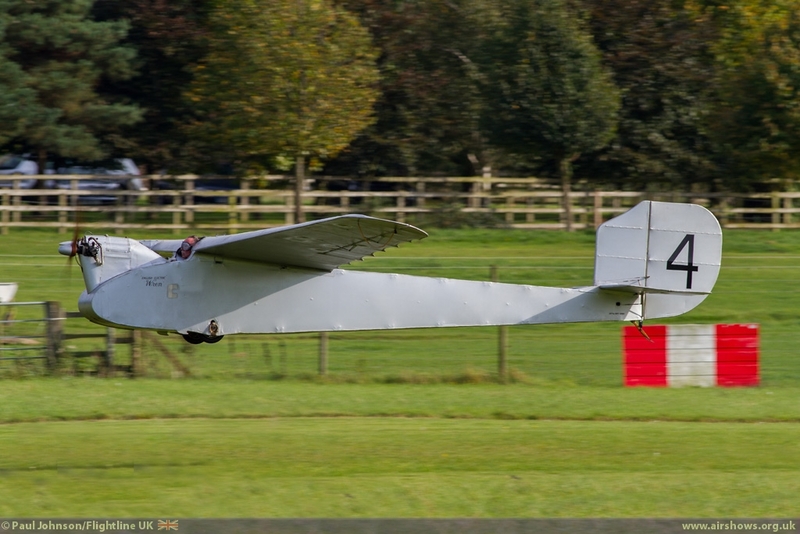 The Cygnet and Wren were joined in the air by a large scale radio controlled model of the Wren which has considerably more performance than the full sized arcraft and possibly more power! 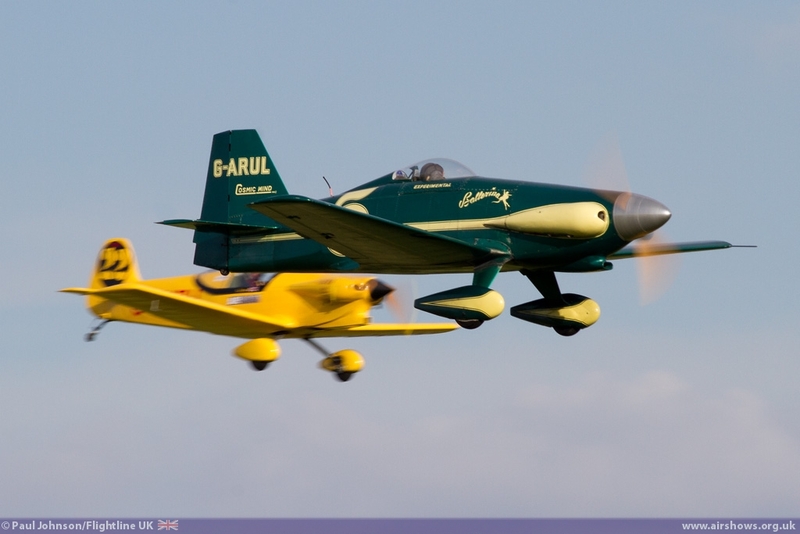 Formula 1 Air Racing was also demonstrated in the flying displays by Catch 22 Racing's beautiful Taylor Titch and the legendary Le Vier Cosmic Wind 'Ballerina.' 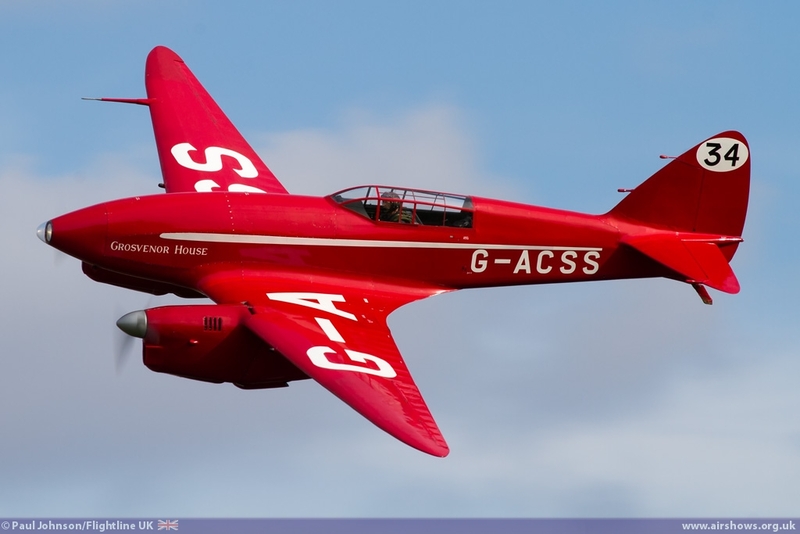 The pair of racers first demonstrated the kind of circuit racing involved in Formula 1 Air Racing befor Pete Kynsey gave a masterful display of aerobatics in the Cosmic Wing including his trademark sixteen-point roll! 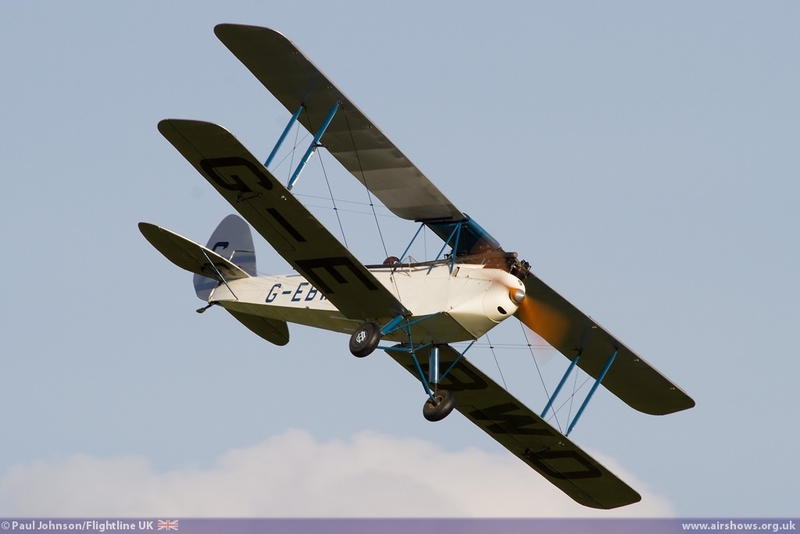 The final big set piece was a mock handicap air race involving a wide range of classic types that had all been involved in various competitions. 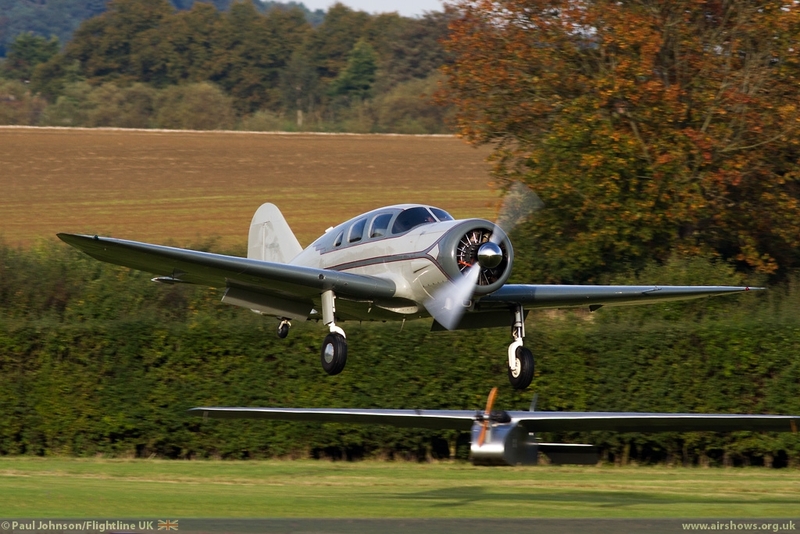 The Handicap system which invokes various time delays between the different aircraft taking off should mean all the aircraft arrive at the finish together meaning that pilot skill becomes the determining factor over the triangular course. 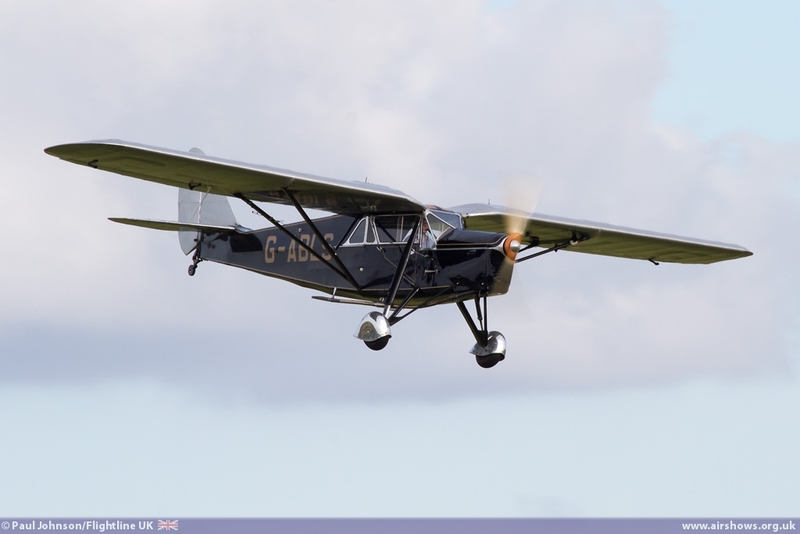 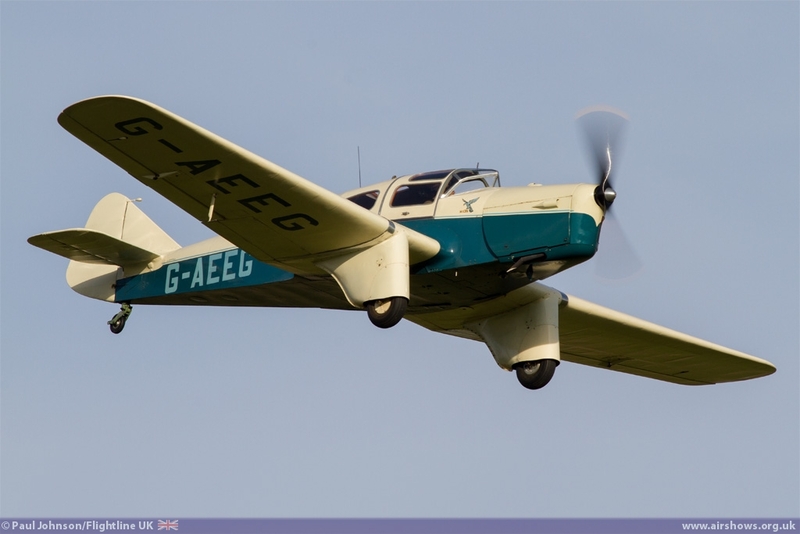 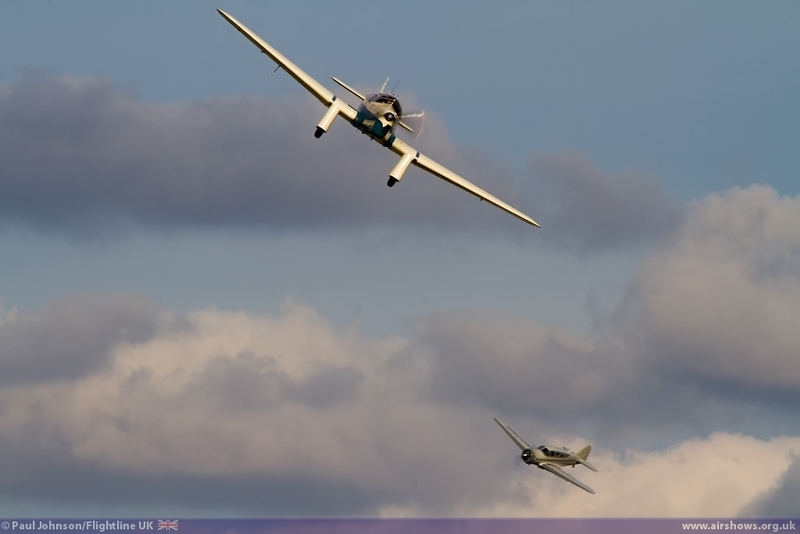 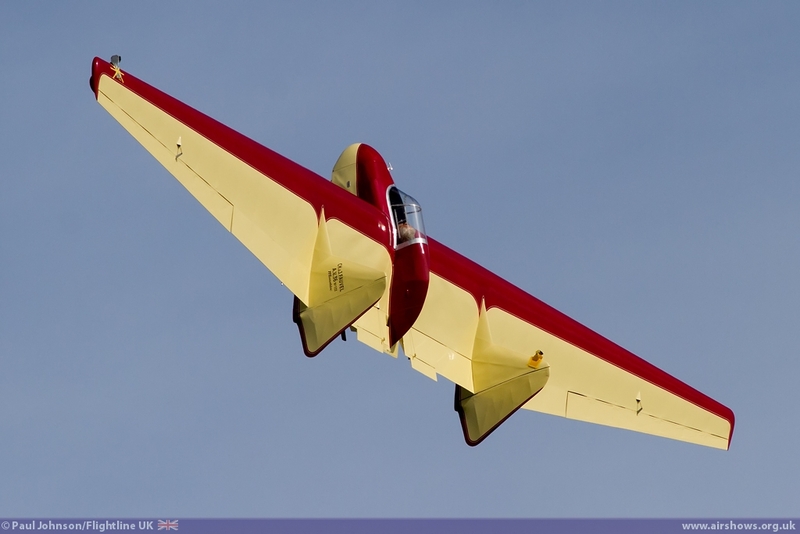 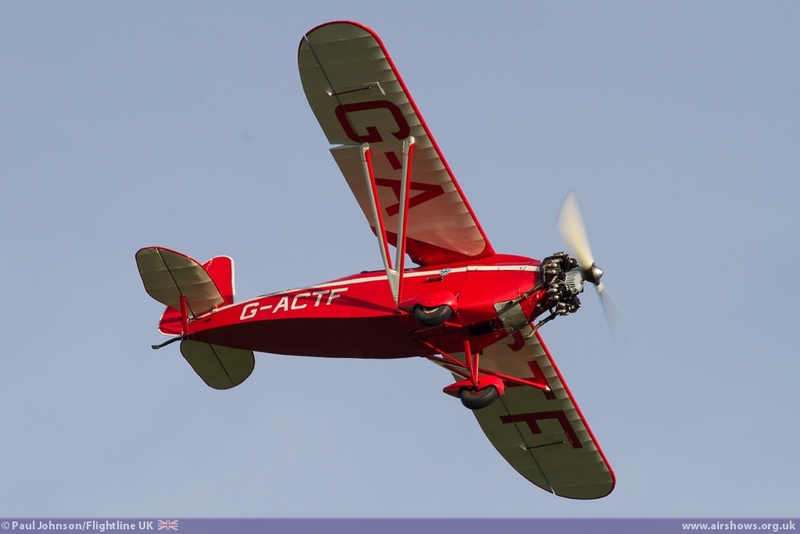 The competitors included a pair of Chilton DW1s, de Havilland DH60X Moth, Comper Swift, Miles Magister, Miles Hawk Speed Six, Miles M3A Falcon Major, Miles Whitney Straight and Spartan Executive. 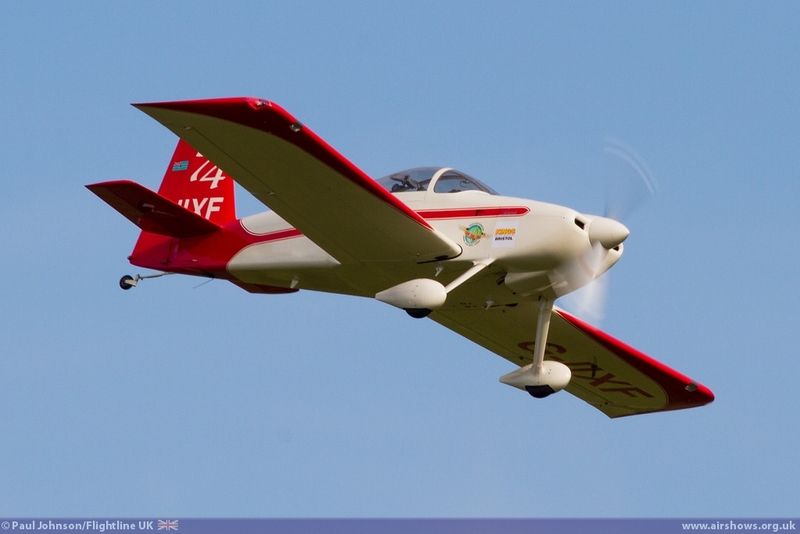 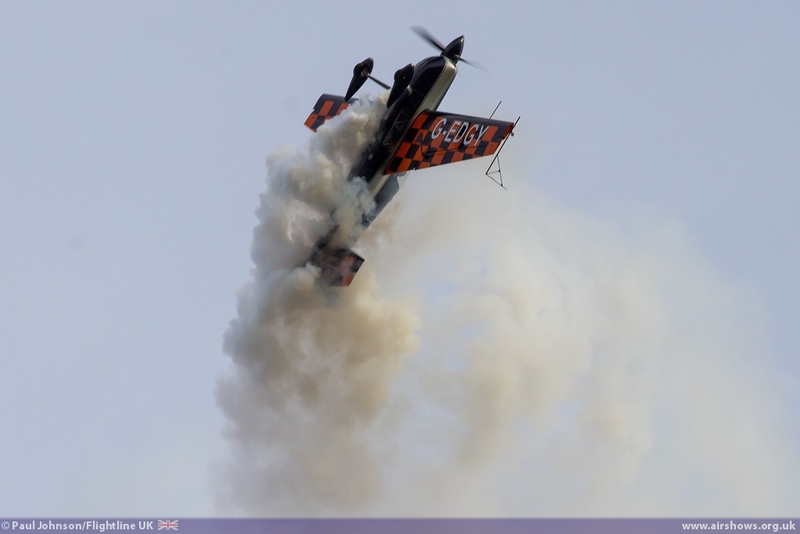 Closing the main show was Kester Scrope flying a thrilling unlimited aerobatics routine in his Zivko Edge 540. 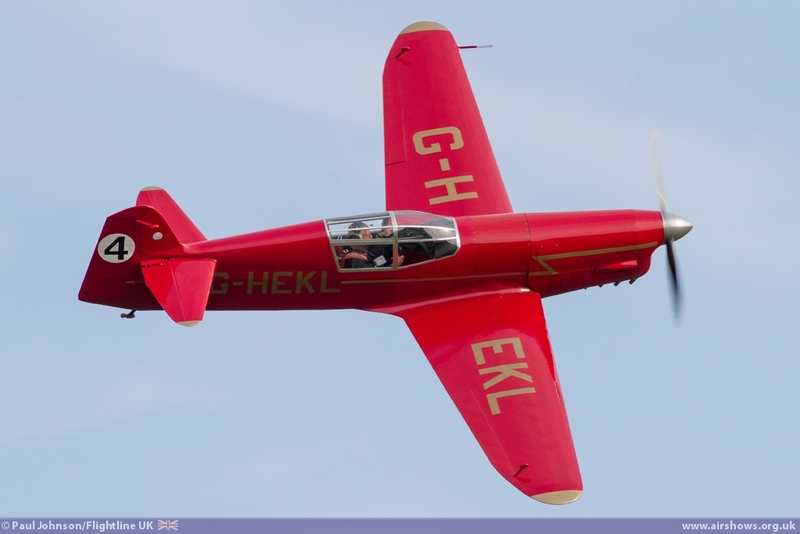 While Kester competes in aerobatics, the Edge 540 is perhaps the most recognisable modern racing aircraft thanks to the popular Red Bull Air Race World Series that sees pilots complete against each other through a course of gates and pylons at low level. 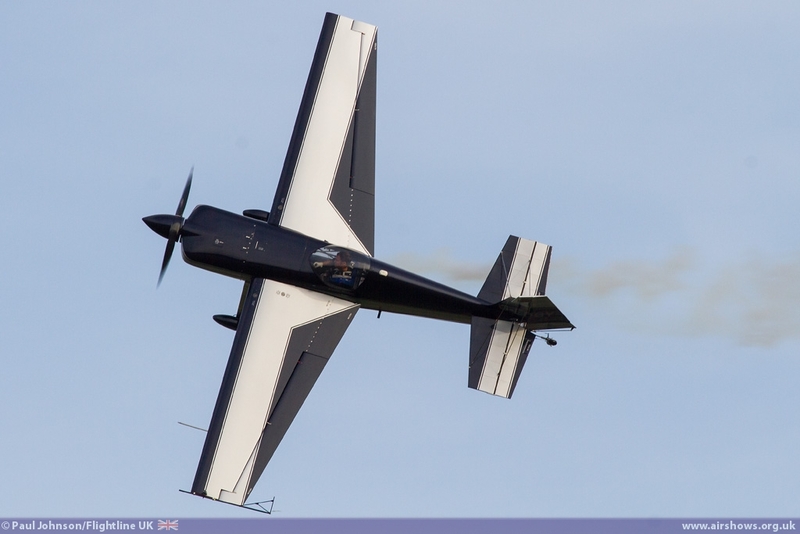 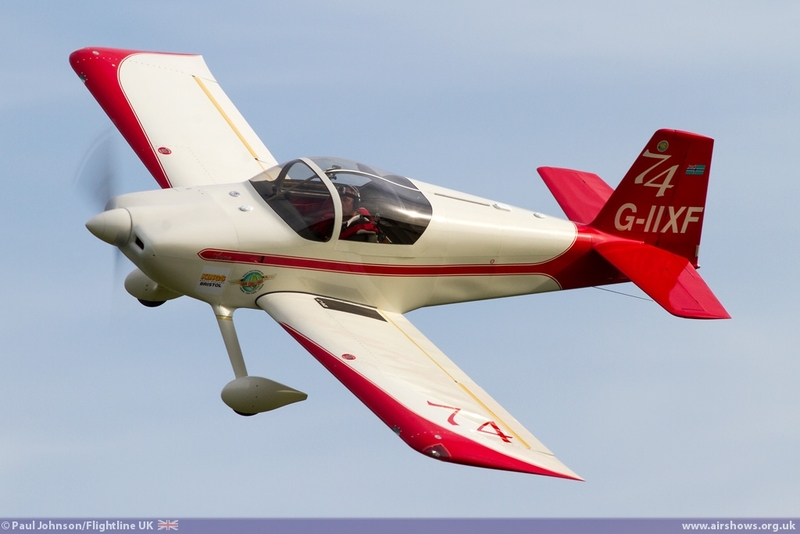 The Edge 540 is by far the most popular type of aircraft in the series and in recent years has been the aircraft of choice for the pilots that have won the championship. 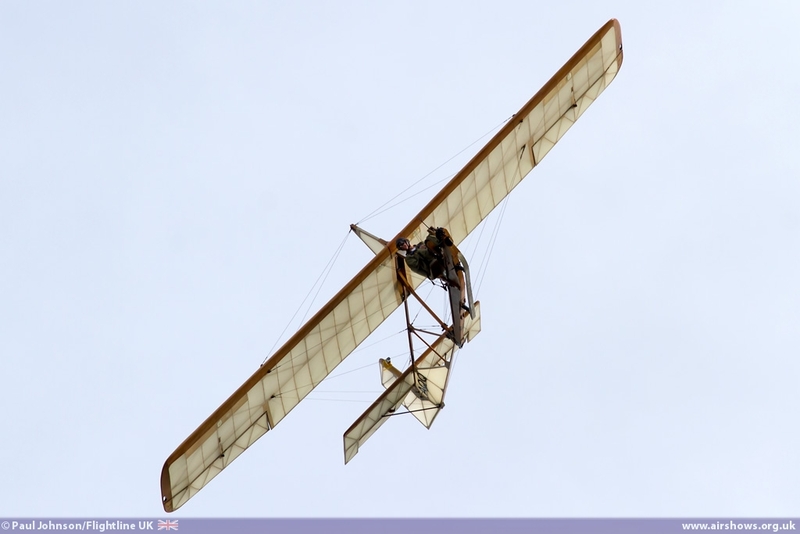 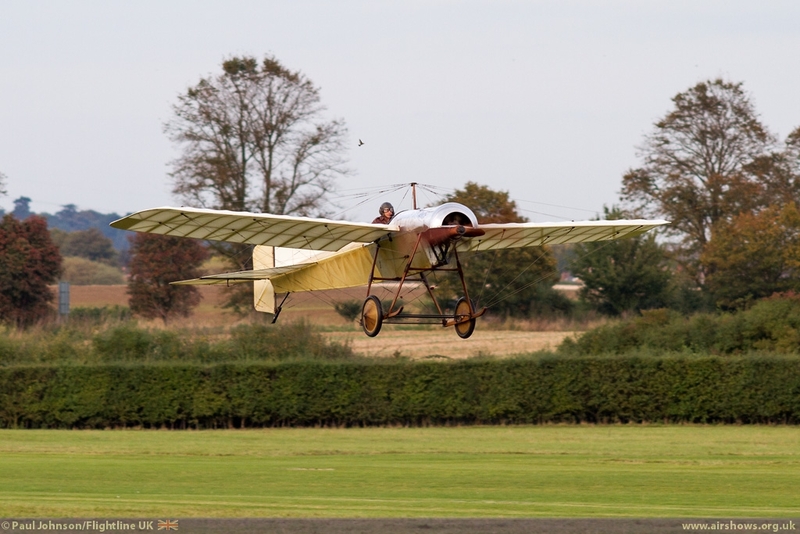 Though the main part of the flying display was compete, closing the flying for the year were some of the Edwardians. 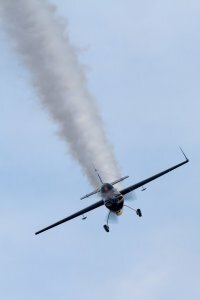 Conditions for these fragile and sometimes difficult aircraft have to be just right and very often these only occur at the end of the day when the winds have died down. 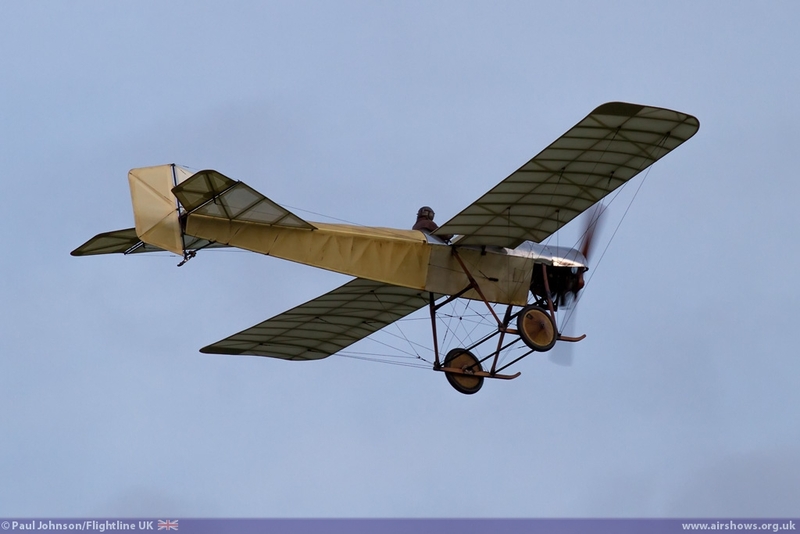 The Bristol Boxkite proved troublesome and only managed a couple of hops down the runway as it failed to gain sufficient airspeed. 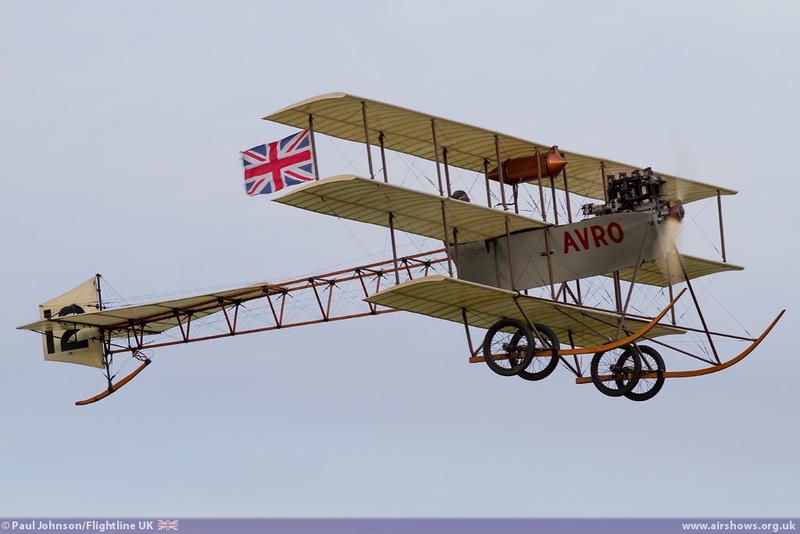 The Avro Triplane however flew perfectly flying around the display area in the early evening skies. 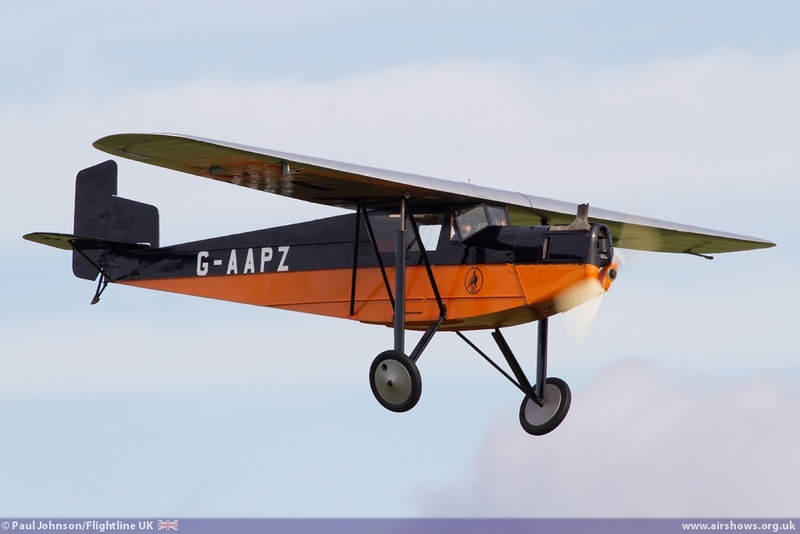 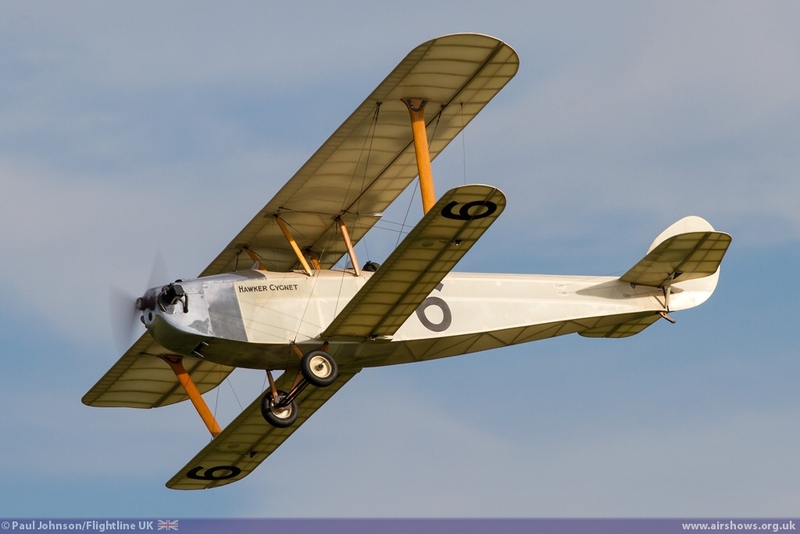 It was soon followed by the Blackburn Monoplane Type D, the oldest British aircraft still flying at the grand age of 102. 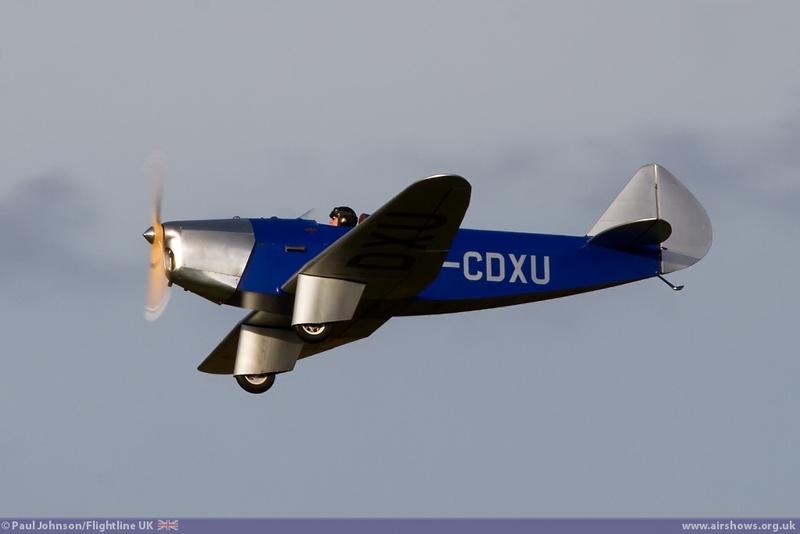 Closing out the show, and the season, was the wonder Deperdussin Racer which performed some hops up and down the runway. 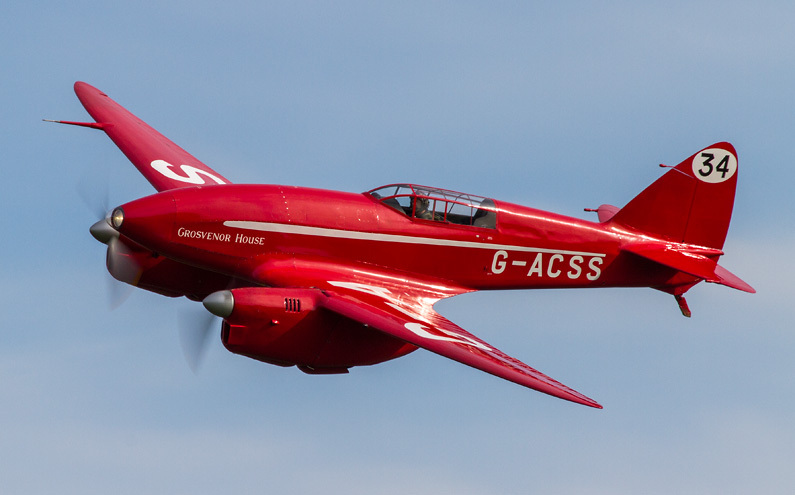 "Race Day" was a superb finale to the Shuttleworth Collection's season of Air Displays in 2014 and certainly a very memorable show overall. 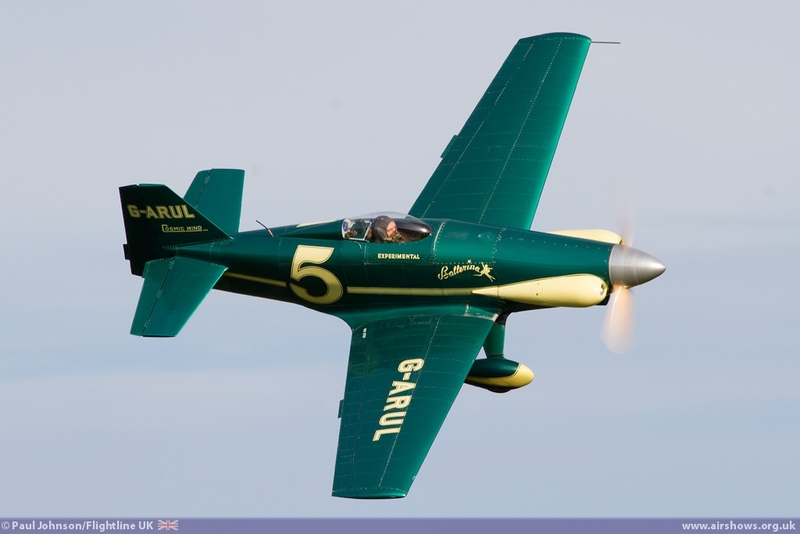 The racing theme certainly encouraged some imaginative set pieces and displays. 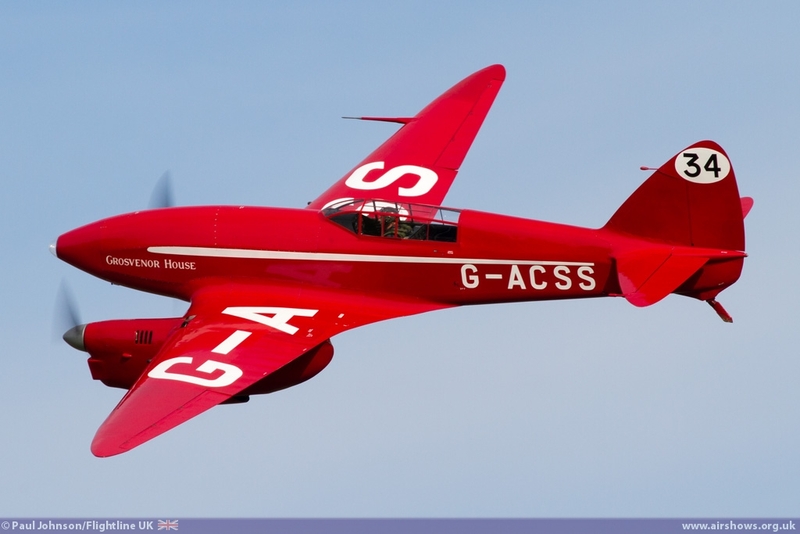 A big part of the day was the fantastic commentary provided by Tim Callways and George Ellis that really did give an insight into the history and operation of the wonderful machines on show. 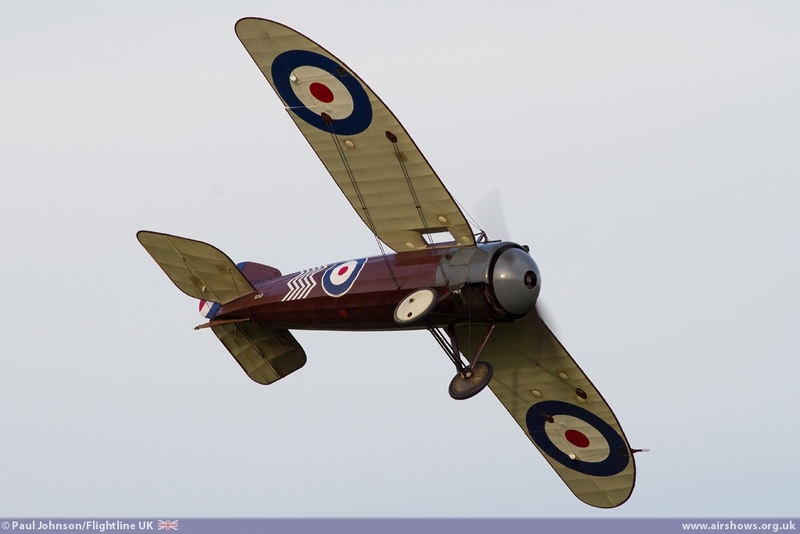 Bravo Shuttleworth - here's to 2015.